Kassel is a charming city and cultural center located in the north of the state of Hessen in Germany. The city is home to numerous palaces, attractive green spaces and world-famous scenic parks. It is also known as the capital of the German Fairy Tale Route. The Karlsaue Park is located on the banks of the Fulda river and has an area of 400 hectares. The Orangerie is located in the park. It was built in 1710 and today houses the Museum of Astronomy and Physics. The Bergpark Wilhelmshohe is one of the must-see attractions in Kassel. Its construction began in 1696 and took 150 years for its completion. The highest point of the park is the Karlsberg mountain with 526 meters high. On top is the breathtaking Monument of Hercules. The Löwenburg Castle is one of the most important examples of neo-Gothic architecture. 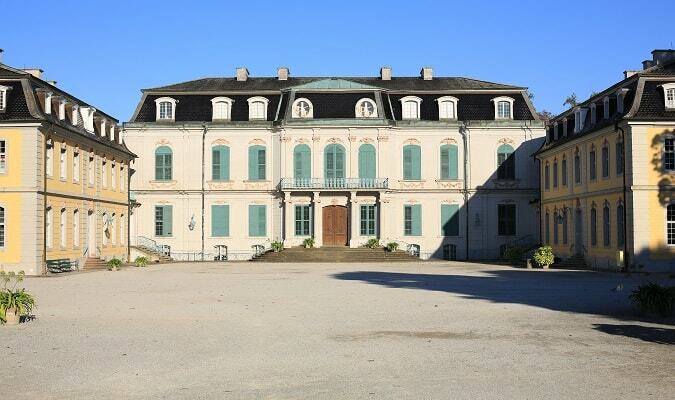 It houses valuable furniture from the medieval period, from the beginning of the modern and romantic period. The Wilhelmshohe Palace is a neoclassical palace built in the late 18th century. It was used by Emperor Wilhelm II as summer residence and retreat. Its sumptuously decorated interior is home to the Schloss Wilhelmshohe Museum. From the palace it is possible to have a magnificent view to the Monument of Hercules, a symbol of Kassel. The Wilhelmsthal Palace was built by François de Cuvilliés between 1753-1767 as the summer residence of the electors. It is one of the most charming palaces with Rococo style in Germany. On the northeast side of Friedrichsplatz is the neoclassical building completed in 1779. It is one of the oldest museums in Europe. The museum is mainly used for temporary art exhibitions. The Naturkundemuseum has exhibits related to the natural history of the Paleozoic Period to the present day. The Best Western Plus Hotel Kassel City is located near the Königsplatz. The Golden Tulip Kassel is located in the heart of the city. The Königs-Galerie is located on Obere Königsstrasse. Brands: Lacoste, Marc O´Polo, Escada, Swarovski. The City Point Kassel is located on Königsplatz. Brands: Calvin Klein, Vero Moda, Saturn. Kassel has easy train access from various cities in Germany. Famous cities nearby: Frankfurt, Hannover, Dortmund.